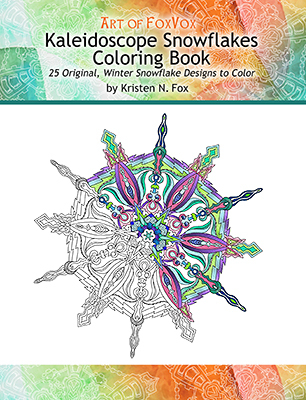 Color some snowflakes for the holidays – check out my new Kaleidoscope Snowflakes Adult Coloring Book! Color your favorite colors on the kaleidoscope patterns of these unique ice crystal snowflakes! 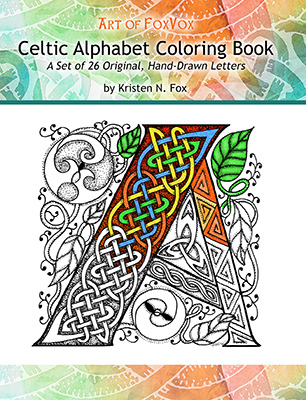 These 25 original designs are detailed and somewhat complex, drawn with fine lines, and each has its own unique look and feel. These aren’t your common white snowflakes – they want COLOR! Each design was hand-drawn with a stylus and a drawing tablet, and was inspired by creative impulses and a love of snowflakes and winter. Some designs are large, single snowflakes, others are patterns or interesting groupings, and they are all printed one-sided.